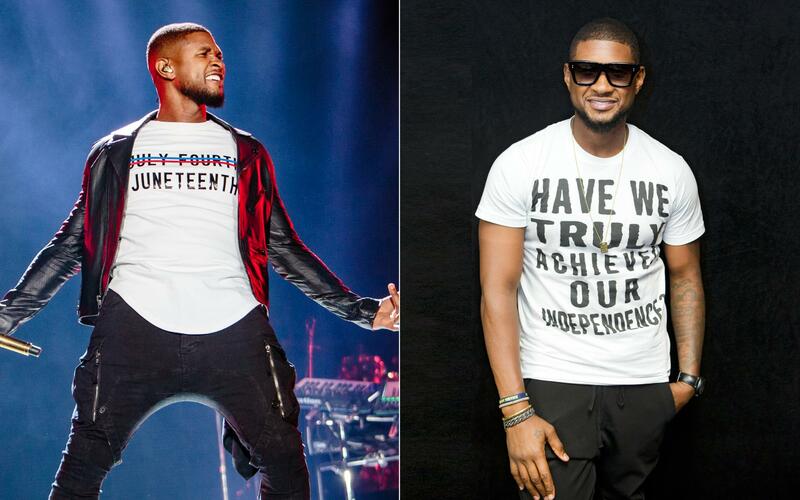 During his ESSENCE Fest concert, Usher rocked a shirt that had "July Fourth" crossed out and "Juneteenth" penciled in. When Usher speaks, we listen! We all applauded the message he was preaching (yaaas! ), and he took to Instagram today to explain the sentiment behind the shirt. Both the Juneteenth and the other shirt that he wore are available for purchase on represent.com. Proceeds go toward his New Look charity, which serves underprivileged kids.